What's with the name, you ask? KuKuRuZa is pronounced just like it looks. Ku-Ku-Ru-Za. Say it with us. Kind of fun to say isn't it? In case you were wondering, "kukuruza" is Russian for corn. We love trying new things. New exotic ingredients, new flavor combinations, new twists on classic recipes. Just talking about it is enough to get us salivating and our creative juices flowing. This passion for new taste experiences is what gave birth to KuKuRuZa in 2004. It began with small batches over our home kitchen range, then it was specialty popcorn equipment in our garage, and finally we moved into our first retail shop. We like to think we've been pushing the culinary envelope of popcorn ever since. Today, we offer our Seattle popcorn creations in 18 KuKuRuZa shops located in Seattle, Tokyo, Osaka, Seoul, Cairo, and Riyadh. Of course you can order online, but we hope you'll also take the time to visit us in person the next time you find yourself in one of these cities! It's the greatest honor we can imagine getting to share our popcorn with discerning snack connoisseurs around the world. What is Seattle Style®? You guessed it - coffee popcorn! Finely ground espresso from local roaster Zoka coffee creates a nice pick-me-up throughout the day. This coffee popcorn is a Seattle specialty you won't want to miss. Our Salted Caramel corn is first sweet, then salty. 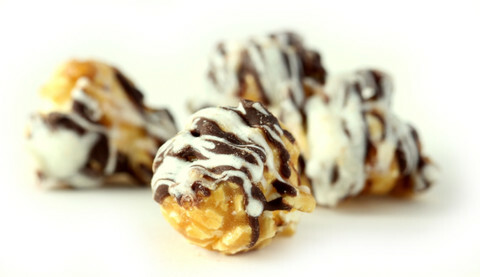 We take our Classic Caramel corn recipe and mix it with Hawaiian Alaea sea salt to make for a wonderful salty kick in every bite. You've never tasted Salted Caramel corn like this before. In our S'mores popcorn, we hand-dip marshmallows and graham crackers to complete our take on this renowned campfire delight. This S'mores popcorn shines with a flavor combination that's just begging to be eaten. Timeless caramel corn is given a decadent chocolate finish as our Classic Caramel recipe gets dressed up with premium white and dark chocolate. Our Cheddar Cheese Popcorn has all the intensity of a sharp cheddar cheese wrapped up in our air popped popcorn. 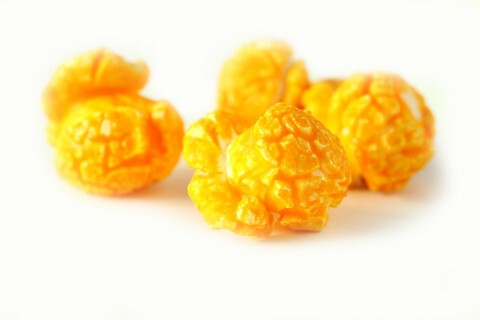 A tangy and intense flavor is right at your (orange) fingertips with this cheese popcorn. 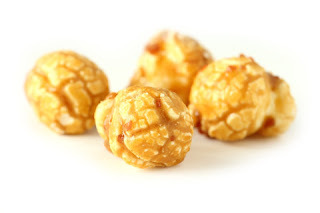 Our take on the signature sweet treat, our Classic Caramel Popcorn is made with locally produced butter and brown sugar. Just the right amount of sweetness and butteriness to create the perfectly balanced caramel popcorn. KuKuRuZa Gourmet Popcorn is AMAZING! I had the pleasure of trying the flavors above, plus a gingerbread flavor that's only available seasonally and let me tell you that I loved each and everyone of these flavors. 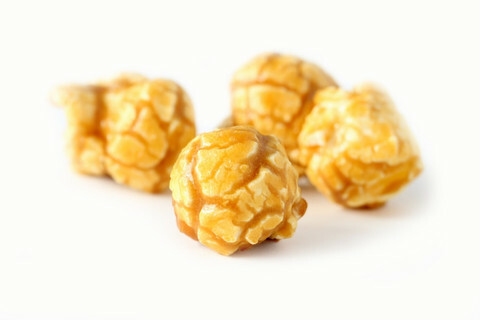 Each KuKuRuZa Gourmet Popcorn has amazing flavor and the popcorn is incredibly soft and fresh. I also have to mention that I didn't find any hard pieces or kernels at the bottom of the bag which I find amazing in itself. KuKuRuZa Gourmet Popcorn has a wide range of flavors with many seasonal flavors that all sound incredibly delicious. I highly recommend KuKuRuZa Gourmet Popcorn! Click HERE to purchase and view other flavors available! 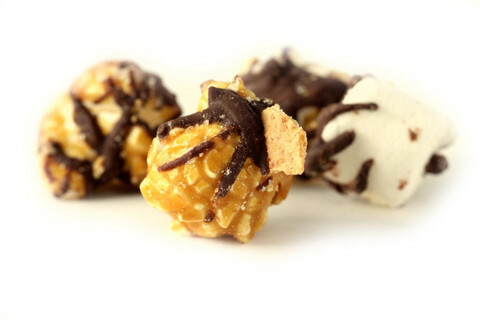 Click HERE to find a store near you that sells KuKuRuZa Gourmet Popcorn! 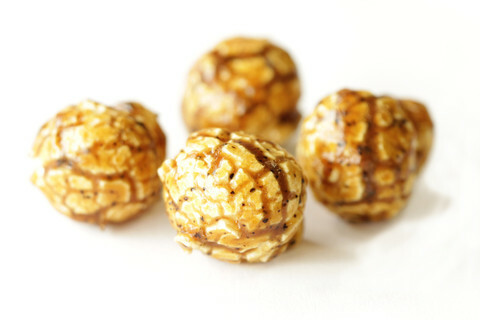 Click HERE to learn more about KuKuRuZa Gourmet Popcorn! 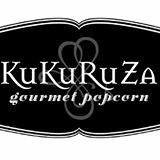 Follow KuKuRuZa Gourmet Popcorn on social media!